As the Super W draws to a close this feels like the right time to start talking about Super W 2020 and beyond. The way it currently stands is an incredible leap from where we were ten years ago but there is a bit of work to be done to make it a competition that is going to attract elite athletes. I have touched on this before in a previous article but I think it’s a really important point so I’ll briefly talk about it again. People want to come and watch top quality athletes and in order to convince these athletes to play in the Super W, they need to be paid. The Super W players need to attract a larger crowd before it is financially viable for them to be paid. This is the vicious cycle that we are stuck in. 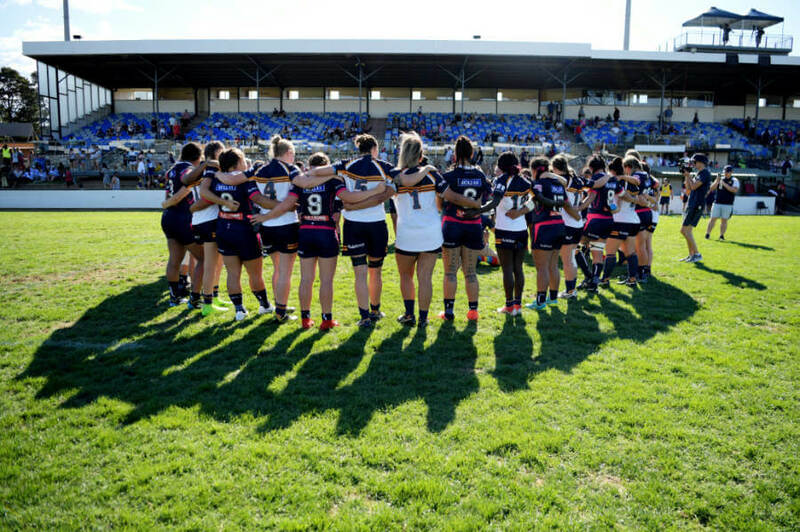 Annmarie Collins, manager of the Melbourne Rebels hopes for the competitions ‘is that it will continue to evolve and attract the best talent in the country. But to attract and keep the best talent we need to make sure the offering is world class’. As a Super W manager, Annmarie works on a volunteer basis. Annmarie speaks about funding and sponsorship as an area that could be improved upon ‘The players incur a lot of expenses; petrol, health insurance and medical bills but by far and away the biggest expense is giving up work to be at training, camps and travel with the team’. The Super W runs on passion and dedication, and while all athletes, no matter what sport they play, and what code they are a part of, have that commitment and dedication, it does take a really special person to give up their work time and compete on a voluntary basis. After speaking to the Super W managers and coaches a common theme has emerged that grassroots is where we need to start to attract and keep promising talent. Moana Virtue, coach of the Queensland Reds would love to see young girls getting access to quality coaches. ‘If a talented young girl turns up to her first rugby training and is engaged, learns something and enjoys herself she will continue with the sport, if she doesn’t she has the opportunity to go to another code’. If we can capture these talented girls at a young age, and make them fall in love with Rugby and keep playing rugby throughout high school and beyond we will be producing very talented girls who will be playing an excellent standard of Rugby. 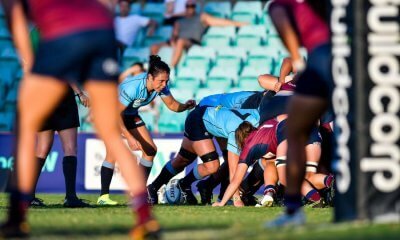 Erin Morton, manager of the NSW Waratahs also agrees that injecting resources into grassroots is an essential part of the process and said that ‘we are exploring options to set up junior academies to ensure the continued growth of the game in NSW’. 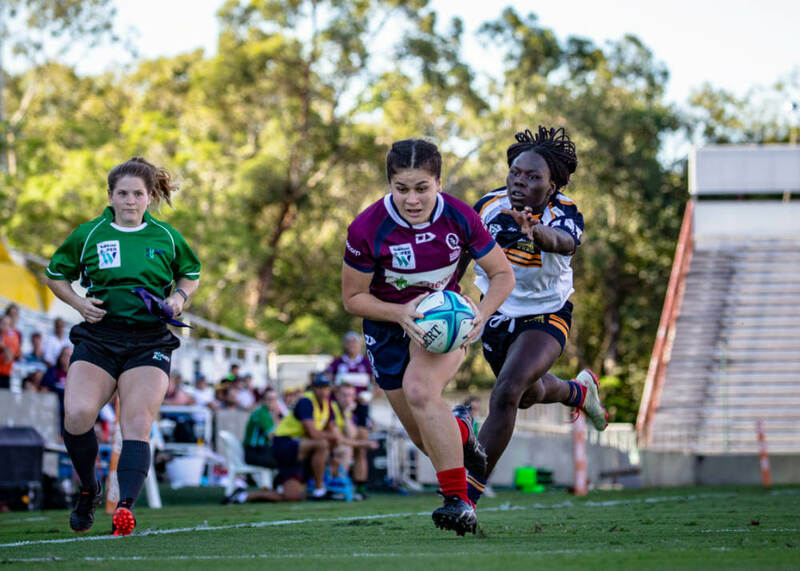 Rugby WA coach Shannon Symon says he ‘would like to see more done at the age group level 15 – 18 year schoolgirls, development at the top will take care of itself if we develop a strong base level’. For 2020, it does not like there will be any changes in the way the competition will be structured or any addition of new teams. Shannon Symon thinks ‘that it is important that the focus needs to be placed on supporting the current teams in growing the depth and quality within the regions’. Moana Virtue is in agreement that it is ‘important we make the five states we already have, strong and competitive’. Adam believes that the competition will tighten up in 2020 between the five states, he says that ‘the strides that the players make during the competition from the Rebels, WA and Brumbies are greater than the players from NSW and QLD make and that is not knocking the top two teams not at all, because they have gone through this already, it’s just when you have more to learn then naturally your improvements are going to be greater than that of players who are already fine tuning their game. 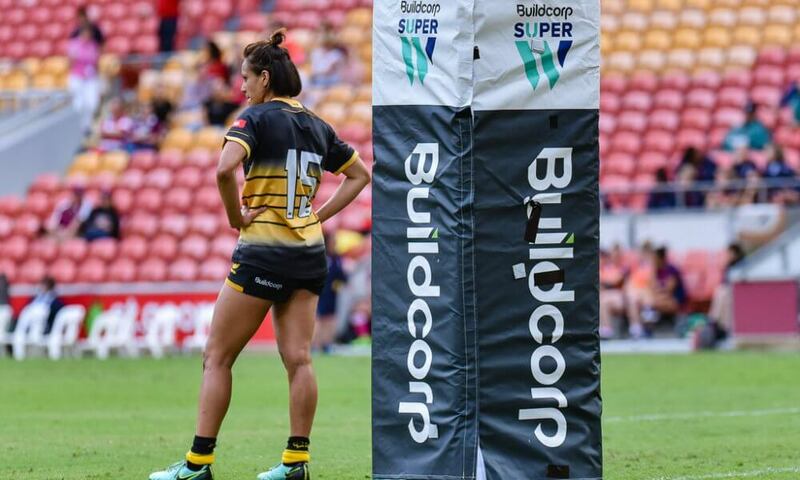 Secondly, I believe that players from NSW and QLD who are not in the Super W set up or not getting the minutes they want will start to look for opportunities elsewhere and that will be of benefit to the other Super W franchises and competition. It’s no secret that NSW and QLD have more depth and some players for whatever reason are missing the cut, it’s only natural that they will seek other pathways to realise their goals’. This is a really interesting point from Adam that does hold a lot of credence, to go from a reserve player to a starting star player for another state could be a big draw card for the NSW and QLD players. The Rugby rivalry between Australia and New Zealand has a very long standing tradition and there is always a buzz of excitement when the two countries meet in a Rugby match up. It would be really exciting if somehow we could include some games against New Zealand as part of the Super W season. 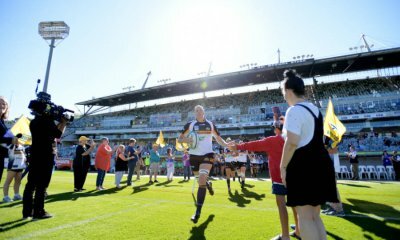 Shannon would ‘eventually like to see a Trans Tasman Super W Rugby competition’, but that will be sometime further in the future. Moana’s thoughts are that ‘what I would love to see is playing against NZ provincial teams, even if it’s the top 2 from each country, fight it out, that would be amazing’. After talking to the coaches and managers from the Super W, it is clear that they all agree that the future is bright for the Super W. While the competition is not perfect in its current state, it is evolving at a healthy rate. The teams are developing, the interest is growing and the grassroots systems in place is starting to produce top quality athletes that are going to make the Super W more and more financially viable as the years go on. We are all on a journey together and we are heading in the right direction. I look forward to talking to you all again for Super W 2020. 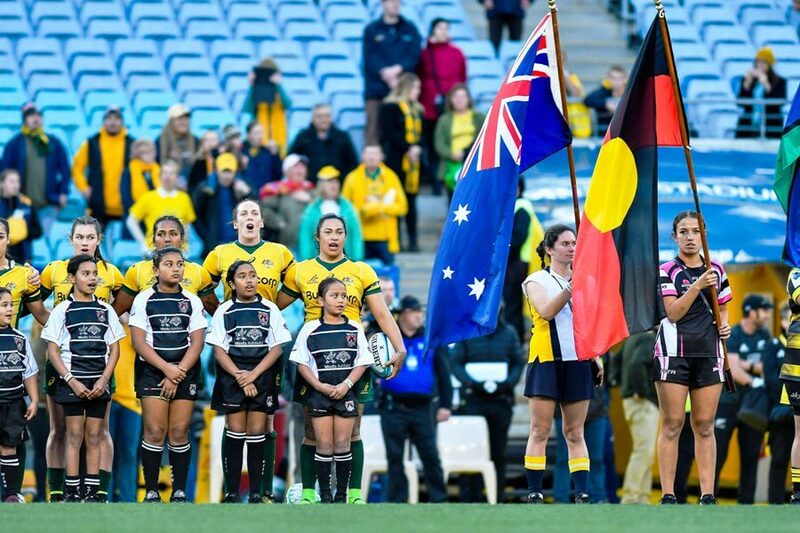 Great article Denise, Here in Brisbane we just finished the Junior Girls 10’s competition (10 a side) with U13, U15 and U17 categories and after Easter will move onto 7’s. We had some girls who had never played rugby before improving every week, both in skills and confidence, and the atmosphere was great. Easts won the U13 competition, while Sunnybank won the 15 and 17 year old categories. Lots of girls involved, all enjoyed it and as a result we have a lot of new families involved. Great grassroots development and starting a pathway for future Super W players. Really like the idea for Aus Vs NZ teams. THATS something that would get me interested in watching. A bit like the Qld v Nsw games!